Mayiladuthurai - On the north bank of the river Cauvery, in Uttara Mayuram is situated this small lovely temple, familiarly known as Vallalar Koil. 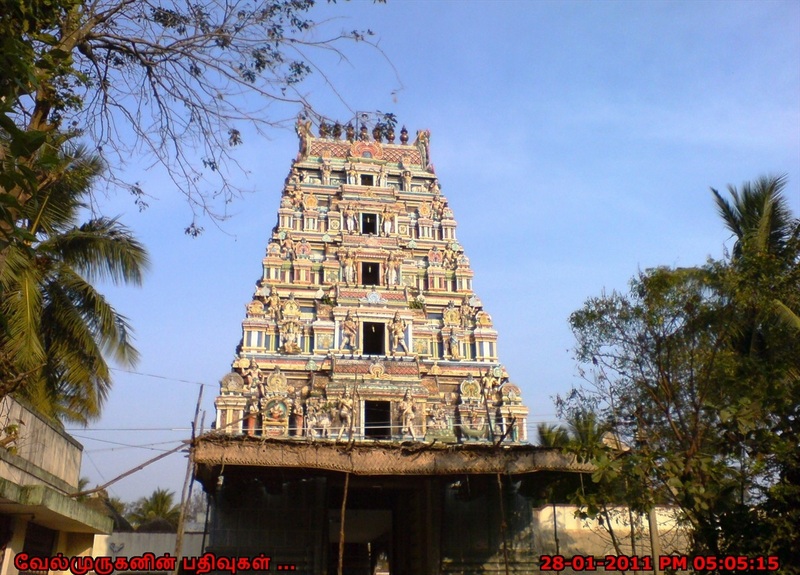 The main gopuram of this Vallalar Temple dedicated to Sri Vathanyeswarar faces West. The Goddess goes by the name of Gnanambikai and her sannidhi faces South. There is a separate shrine for the Goddess and though small, it is attractive and well proportioned. On the Southern side of the sanctum sanctorum is situated the sannidhi of Lord Medha Dakshinamurthi (The Lord of Wisdom). The Lord is seen sitting in yogasana with the right hand in Gnana Mudhra and the left holding a book. The unique feature of this Medha Dakhinamurthi is that he is seated on the Nandhi. There is the banyan tree behind and there is also a stone Nandhi in front of him. The tank adjoining the temple goes by the name of Gnanamrutha Saras. It also goes by the name Pancha Brahma Theertham. 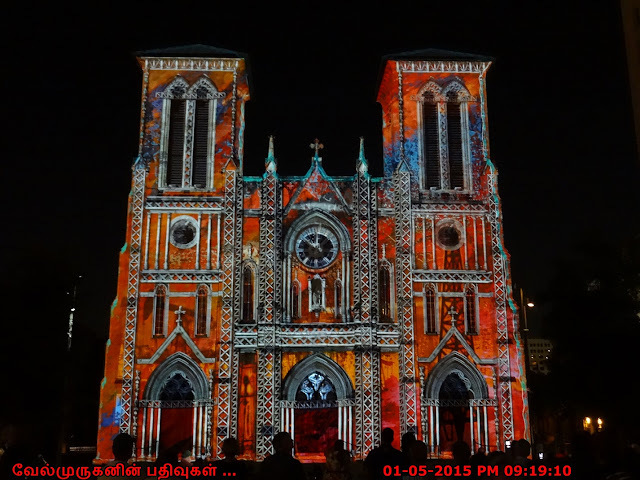 The Lord goes by the name of Vallalar or Vathanyeswarar. Vallalar means one who gives abundantly to His devotee. Here the Lord is known as Kai Kaattum Vallalar - the Lord who shows His hand. Chin Mudhra represents Gnanam or wisdom and the Lord demonstrates the Chin Mudhra with His right hand in the form offering Upadesam. v Generally, there is only one Nandhi before the sanctum in Sri Shiva Temples. Here is a Nandhi in a polite form before Lord Dakshinamurthy, a rare form. v Dhakshanamurthy (Guru Bhagawan) is called as Metha Dhakshanamoorthy. Special poojas are held in the time of Gurupeyarchi. v Sri Nandhi, the bull vehicle of Lord Shiva had sung 8 verses in praise of Lord Dakshinamurthy. v The spot in the Cauvery bank where Nandhi had his dip is praised as Nandhi theertham. Nandhi praised the Lord Shiva. 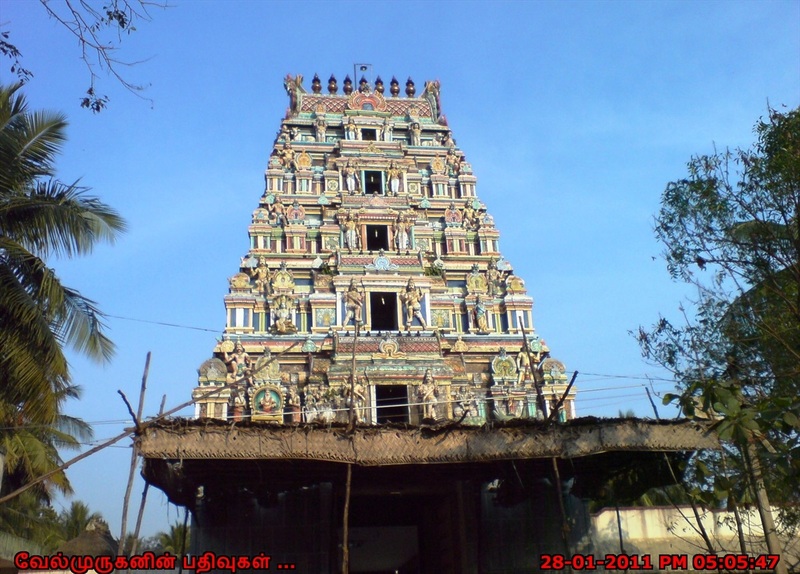 How to Reach : The temple is situated on the northern bank of river Cauvery in Uttara (North) Mayuram and easily reached by walk able distance (half km) from Mayiladuthurai bus stop.